The Plastic Surgery Residency at Penn State Health Milton S. Hershey Medical Center is an integrated six-year, ACGME-accredited program that admits two residents per year. The Plastic Surgery Residency is led by Dr. Donald Mackay, Chief of the Division of Plastic Surgery; Dr. T. Shane Johnson, residency program director; and Dr. Thomas Samson, assistant program director. The faculty consists of nine full-time staff surgeons based at Penn State Health Milton S. Hershey Medical Center and three private-practice plastic surgeons in Harrisburg. Hershey Medical Center, founded in 1963, is a 551-bed, Level 1 adult and pediatric trauma center with more than 650 physicians. A free-standing Children’s Hospital opened in February 2013. There are many subspecialty clinics with resident involvement in hand surgery, skin oncology, cosmetic surgery, craniofacial surgery, cleft lip and palate surgery and vascular anomalies. Many of these clinics are multidisciplinary with other specialists at Penn State Health. The craniofacial and cleft teams hold clinic at the Lancaster Cleft Palate Clinic, which is the oldest freestanding multidisciplinary cleft clinic in the world. As a division, we provide Suture Skills Clinics for all third-year medical students. A yearly microvascular lab is conducted in the Simulation Center by the staff for all residents. Residents also get dedicated microvascular instruction time throughout the year commensurate to their experience and skill level. Anatomic dissection courses on cadavers are performed throughout the year and focus on flap elevation and surgical technique. Academic production is a mandatory component of the plastic surgery residency, with expectations of publications and presentations at academic plastic surgery meetings. We have NIH-funded projects at Penn State Cancer Institute, as well as the Irvin S. Zubar Plastic Surgery Laboratory, run by Dr. Dino Ravnic, with multiple ongoing basic science and clinical studies. Residents are active in research throughout their training and are encouraged to collaborate with staff that share their academic interests. International rotations in collaboration with Operation Smile are available for PGY-5 and PGY-6 plastic surgery residents in a variety of locations. Rotations typically occur during elective time during these training years as well as through the Regan and Stryker Fellowships available through Operation Smile. These rotations are approved by the Residency Review Committee (RRC) and the American Board of Plastic Surgery (ABPS), allowing residents to log cases they perform abroad. During our fifth and sixth years of training, we have been afforded the opportunity to explore our interest in plastic surgery with a monthlong elective. I have a strong passion for cleft surgery so I decided to travel to the northeastern corner of India to the city of Guwahati. A recent report has estimated that there are 1,000,000 unrepaired clefts in India with an annual incidence of 35,000 new clefts each year. In the rural state of Assam, where Guwahati is located, the population of 31,000,000 is served by eight plastic surgeons, many of whom do not perform cleft operations. Fortunately, measures have been taken to combat this public health discrepancy. The Guwahati Comprehensive Cleft Center (GC4) was created from a unique public and private partnership from Operation Smile India, the Government of Assam, the National Rural Health Mission, the Sir Dorabji Tata Trust and Bupa International. GC4 is actively reaching out to the poorest and most remote villages to provide free comprehensive care to patients with clefts. The center has a speech therapist, social workers, a dentist, pediatric anesthesiologists and a pediatrician. It was heartbreaking to see the extent of malnutrition that still exists in the world today. The center was clean although the hospital still had open sewers. The OR was an open concept with multiple tables in the same room that were furnished with up-to-date equipment provided by Stryker. The three Indian staff surgeons were remarkably talented at cleft surgeries. Their knowledge, efficiency and results were exceptional. They were also excellent teachers as they have also created a fellowship program to train cleft surgeons from endemic areas throughout India, Asia and Africa. Their skill was crafted from an unprecedented case volume compared to American standards. There were three OR tables with two to four cases running every weekday. In fact, during my stay, the center performed their 12,000th case including all local and regional cases. I was able to operate on one to two primary cleft lips and one to two primary cleft palates per day. With this volume, I did more cleft surgery in one month than I will have done in my entire residency. Additionally, I surpassed the ACGME requirements for cleft cases by a factor of greater than 10. The spectrum of the pathology was unlike anything that would be seen in America. I was able to operate on a 26-year-old with a previously unrepaired complete cleft palate as well as a 72-year-old woman with an unrepaired complete cleft lip. This was a truly wonderful and rewarding experience that I will always remember. I arrived in India with a basic understanding of cleft surgery but left with a thorough comprehension of the finer technical details. The Division of Plastic Surgery regularly hosts prominent visiting professors. See upcoming and past visiting professors here. The Plastic Surgery Research Laboratory at Penn State is directed by Dr. Dino Ravnic (PI) and managed by Dr. Srinivas Koduru. Our laboratory’s primary research effort is toward the creation of autologous vascularized engineered tissue that is suitable for microsurgical implantation and immediate reperfusion. Composite tissue defects are a common manifestation after tumor resection or traumatic injury. Reconstructive microsurgery involves the transfer of autologous tissue (free-flap) for correction of these injuries. However, flap harvest may not be an option in all individuals and can be associated with significant donor-site morbidity. Tissue engineering is the practice of combining cells, scaffolds, and biologically active molecules to create functional tissue. We attempt to optimize these factors to craft bioengineered vascularized tissue that is patient-specific. To achieve our goals, we collaborate with experts in materials science for scaffold fabrication, biomedical engineers for 3D bioprinting assembly of cells/scaffolds/proteins, and vascular biologists for optimization of microvascular development, integration and function. This cross-collaborative environment has led to additional projects in tissue repair (e.g. hernia, bone) and the investigation of small RNAs for both clinical implementation and integration into tissue engineering approaches. Recent publications for Plastic Surgery residents appear below. Awards are presented annually for outstanding teaching by a plastic surgery resident, and for an outstanding faculty mentor to residents. Stephen H. Miller was a faculty member of the Division of Plastic Surgery at Penn State Health Milton S. Hershey Medical Center from 1974 to 1979, and was nationally recognized for his excellence in education. He served as Chief of the Division of Plastic Surgery at Oregon Health Sciences University, Chair of the American Board of Plastic Surgery, and as Chief Executive Officer of the American Board of Medical Specialties. Dr. William P. Graham initiated this award in Dr. Miller’s name in 1997 to recognize the plastic surgery resident demonstrating outstanding teaching to the medical students and residents. We utilize ERAS (Electronic Residency Application Service) for our recruitment and matching. Completed applications are reviewed and decisions are made regarding the interview process. This program usually receives around 250 completed applications, of which 30 applicants are granted interviews for the two categorical positions. We will have two interview dates where applicants will be interviewed. The interview dates are conducted in December through January. The evening prior to the interview, we have a social gathering that gives the applicants the opportunity to meet the faculty and residents in a more relaxed atmosphere. The interview process itself, the following day, consists of six formal interviews, five with faculty members and one with the chief residents. Between interviews, the applicant has the opportunity to interact with residents at various levels of the training, as that is the best way to obtain the most accurate information about the quality and disposition of the residency. We would like to know what is happening with our graduates. Many have been out of contact. Please email Stephanie States at sstates@pennstatehealth.psu.edu with anything you would like us to share. Evidence-based medicine is the present and future of all of medicine. Plastic surgery is no exception. As a result of an increased push to prove concepts and treatments with sound research, academic institutions are expected to pave the way for future plastic surgeons in determining what is best for our patients. The Division of Plastic Surgery at Penn State Health Milton S. Hershey Medical Center has made research a priority, requiring residents to write at least one abstract per year to local and to regional meetings. Several residents present research papers at the IVY Society. We have been fortunate to have residents present at regional and national society meetings such as NESPS, ASPS, AAHS, AAPS, PSRC, and the ACPA. With resident and faculty research expanding beyond the local level, costs have risen and funds allocated for resident travel are not always available. Making every effort to send residents to meetings where their work has been selected for presentation, funds are being withdrawn from the William P. Graham Resident Fund. Unfortunately, money is being withdrawn faster than it is replenished. As we continue to advance the science of plastic surgery, we are asking for the support as former residents and graduates of the Penn State Plastic Surgery Residency. We hope you will consider donating to the William P. Graham Fund to support resident research so we may continue to present our work on the regional and national stage. Choose “A specific area or multiple areas,” then “Other,” then specify Division of Plastic Surgery William P. Graham Fund in the box provided. The past academic year has been full of interesting challenges and ongoing achievement. The major health care systems in Central Pennsylvania continue to evolve at a dizzying rate. The FTC, who felt it would limit competition in our area, denied the possible merger between Penn State Health and Pinnacle. This was followed by Pinnacle’s rapid acquisition of four additional mid-state hospitals and followed shortly after that by a merger with UPMC. These developments, together with the merger of Lancaster General Hospital’s merger with Penn, Hopkins forming an alliance with Wellspan York Hospital, and Geisinger’s acquisition of Holy Spirit Hospital, has created uncertainty for all of us. The bottom line is that in spite of what appears to be overwhelming competition we have never been busier and Penn State Health has never had a better bottom line! As the big systems continue to do battle, I have emphasized this message for our residents. All of these systems need two things: patients and physicians to take care of them. They are essential components of any system and they have the best jobs within the system. We finally said goodbye to Christine Jones and Kavita Vakharia after six years. They both were exceptional residents and their graduating was truly bittersweet. Our new residents are Jeff Fornadley and Sameer Massand, who are already well ensconced in their intern activities. Our academic output continues to improve and this year promises to set new records. Dino Ravnic was awarded the Hoopes Academic Scholarship by the Association in April this year. The Association Scholarships are the most prestigious awards in organized plastic Surgery and the first ever awarded to anyone at Penn State College of Medicine. Dr. John Schantz has initiated a fundraising drive to establish a fund that will be devoted entirely to the residents. The Graham Fund has had a big impact in supporting the growth of the division and included support for the residents. This fund will be administered by the residency program director and strictly limited to supporting the residents. We are close to securing the minimum pledge amount that Penn State requires before allowing this to go forward. I will be appealing directly to all of you to support this effort in the coming weeks. I hope you enjoy receiving these updates and I hope I see many of you at our national meetings. 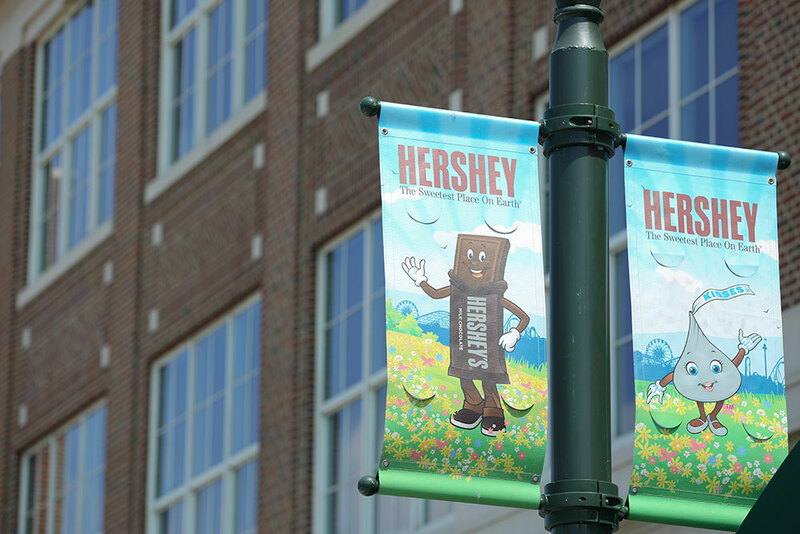 Please know you are all most welcome to visit us in Hershey any time.